Albert’s knowledge and deep understanding of the market is second-to-none. 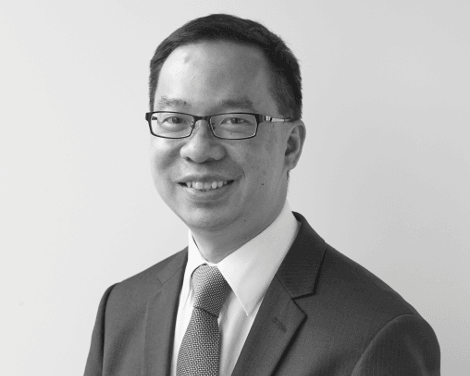 For the past 12 years, he has played an integral role at Financial Decisions in providing specialist investment services to clients. Prior to joining Financial Decisions, he spent several years with Macquarie Bank and other independent financial advisory firms. Albert has been in the financial services industry for over 16 years and has always been passionate about how the behavioural aspect of humans can help us become better investors. His comprehensive knowledge extends to different market relationships as well as domestic and international equities, foreign exchange, bonds and option strategies. His common sense approach to investing shows in his objective to provide high quality advice and personalised service in helping clients grow their nest egg by developing a collection of strong businesses in their portfolios. The desire to continue learning from the very best means that Albert often meets leading money managers and analysts from Australia and abroad to gain an even greater understanding of different aspects of investments. Albert has travelled on many occasions to Omaha, Nebraska in the US, the home of legendary investor Warren Buffett, to attend the annual shareholders’ meeting of Buffett’s company, Berkshire Hathaway. From humble beginnings 50 years ago, this shareholder meeting now attracts over 46,000 like-minded investors from around the world as they listen and ask questions to two of the best investment minds. More importantly, it is also an invaluable opportunity to network with other great investors and money managers from around the globe. Albert holds a Bachelor of Commerce and a Master of Business in Finance (Funds Management).